Pewsey Vale Vineyard has a long and illustrious past. It was first established by Joseph Gilbert, an Englishman who landed in Australia in 1839 from Wiltshire's Vale of Pewsey. Joseph purchased the property in 1847 and named it after his ancestral home. 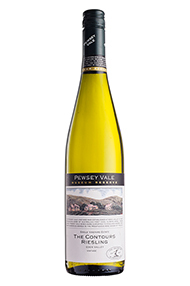 With an altitude varying between 485 metres and 500 metres, Pewsey Vale sits 250 metres above the Barossa Valley floor in the heart of the Eden Valley. The cooler temperatures found at this height encourage a longer ripening period which extends well into autumn. Soils at Pewsey Vale are shallow light sandy loams over light to medium clay. 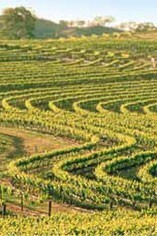 At Pewsey Vale there are 25 hectares of Riesling planted, mainly on traditional single wire trellis. Louisa Rose, originally from the Yarra Valley and a cool climate enthusiast, has been making the Pewsey Vale wines since 1996. Working closely with Vineyard Manager Darrell Kruger, who has been associated with Pewsey Vale for more than 20 years, Louisa is a firm adherent to the philosophy that 'wine is made in the vineyard' - particularly Riesling which, she says, has a unique relationship with the site.